Vince started out in Raleigh NC in 1985 with his first business, Classic Auto Detail for 14 years, and transitioned to an independent auto dealership in the late 1990’s. With his brother Dan, they opened Belmonte Auto Imports in June of 2008. A sharp eye for detail, Vince is able to keep a great variety of inventory for his customers. As the owner, he can work out deals for customers and have the same flexibility of a franchise store. Dan has been in Raleigh North Carolina in the automobile business for over 30 + years. He worked for Leith BMW as top salesman for 17 years. He transitioned to sales manager at Johnson Lexus for 4 years. Wanting a change from corporate world, he started Dan Belmonte Automotive in 2002. Working primarily in the wholesale business, he enjoyed the option of being self employed. 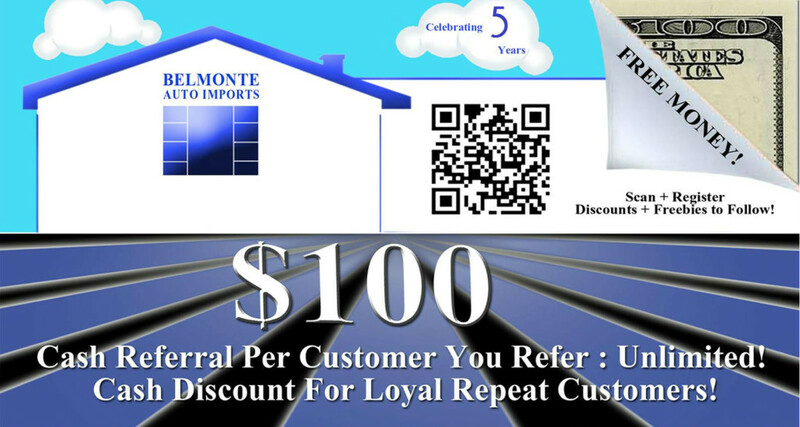 With his brother Vince, they opened Belmonte Auto Imports in June of 2008. Currently, his primary job is keeping top shelf cars trucks and SUV’s available to their many satisfied customers. Sandra has been in the automotive and finance industry for over 20 years, and has networked with several local lending institutions.